Despite PM's backing death penalty for terrorist who slaughtered three Israelis in Halamish, army prosecutor to seek only jail term. The 19-year old Arab terrorist who slaughtered three members of the Salomon family two weeks ago will not face the death penalty if convicted, army prosecutors said. According to a report by Yediot Ahronot, the prosecution will not seek the death penalty for the terrorist, despite Prime Minister Binyamin Netanyahu’s explicit endorsement of the death penalty in this case. 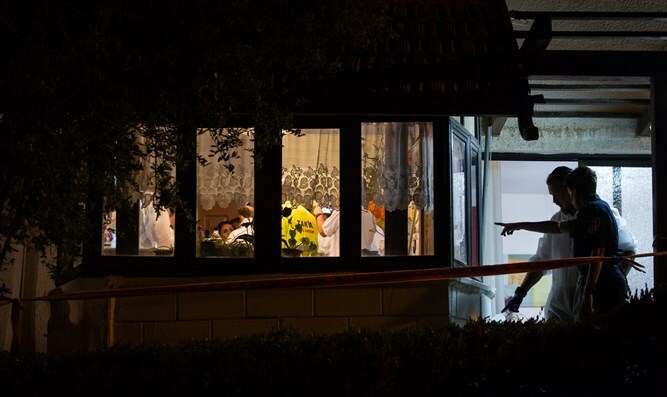 On July 27th, Netanyahu and his wife, Sara, met with members of the bereaved Salomon family, and expressed his support for the execution of the terrorist responsible for the brutal murder of Yosef Salomon, 70, his daughter Haya, 46, and his son Elad, 35. Nevertheless, prosecutors say they will seek a jail sentence for the terrorist and will not pursue the death penalty. Israel has a law on the books permitting execution in some extreme cases, but has not implemented the death penalty since the execution of Adolf Eichmann in 1962 for his role in the Holocaust, due to the possibility of kidnapping-murders in revenge.